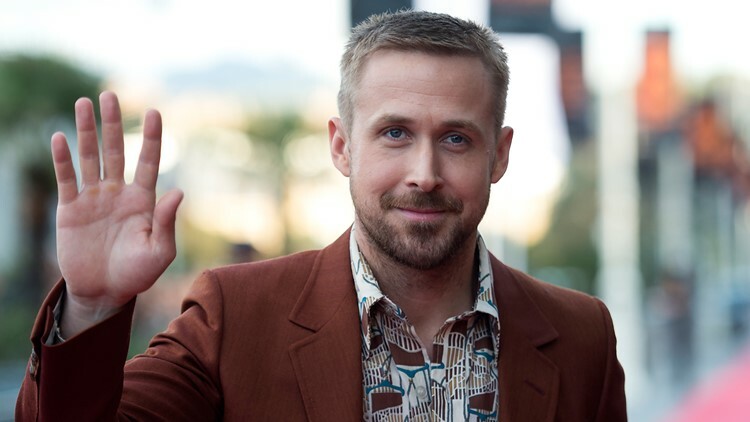 Canadian actor Ryan Gosling poses before the screening of the film 'First man' during the 66th San Sebastian Film Festival, in the northern Spanish Basque city of San Sebastian on September 24, 2018. Golden Globe nominations announced Thursday morning revealed some shocking snubs. Here's who lost out. The Hollywood Foreign Press Association showered awards praise on "Vice," which received six Golden Globe nominations on Thursday. But it was a bad morning for everyone named Ryan (Gosling, Coogler and Reynolds) at the 76th annual awards show, which reveals its winners on Jan. 6 (NBC, 8 p.m. ET/5 PT). Ryan Gosling, Ryan Coogler and Ryan Reynolds. It was a tough year for everyone's favorite Ryan. Ryan Gosling lost out on a nomination as astronaut Neil Armstrong in "First Man" (also overlooked for best drama). Ryan Coogler was passed over as the director of "Black Panther" (nominated for best drama). And Ryan Reynolds lost out as Wade Wilson in "Deadpool 2." "The Grinch." The animated film version of the Dr. Seuss classic, with Benedict Cumberbatch voicing the Christmas-hating creep, has been a moviegoing favorite this holiday season. But it missed out on an animated movie nomination. "Atlanta." The FX series, created and starring Donald Glover, took best comedy at the Golden Globes last year, but failed to earn that nomination in 2018. Glover was nominated for best actor in a comedy, an award he won last year. "A Quiet Place." Director and star John Krasinski's box-office hit ($330 million worldwide in box office), his first starring collaboration with wife Emily Blunt, has received the kind of rare critical raves for a horror film to warrant awards recognition (with an impressive 95% critical rating on Rotten Tomatoes). The film was nominated for movie of the year at the People's Choice Awards, but only scratched out a best original score nomination. "Widows." With an all-star cast (including Viola Davis and Liam Neeson), Oscar-winning director Steve McQueen's heist-drama seems poised for awards glory. But it received nothing at the Golden Globes, not even for best actress for Davis. “Mamma Mia! Here We Go Again.” With both "A Star As Born" and Queen biopic "Bohemian Rhapsody" moved to the drama section, there was room for another actual musical to move into the best comedy or musical category. Ten years ago, the original "Mamma Mia!" took two nominations, for best comedy or musical, and best actress for Meryl Streep. But the sequel was shut out in 2018. Amandla Stenberg: (“The Hate U Give”): Stenberg has earned raves for performance in the timely drama as student Starr Carter, who witnesses the fatal police shooting of her childhood best friend. Hugh Jackman: Given that Jackman nabbed a best actor nomination last year for "The Greatest Showman," it would have seemed that the beloved Aussie actor could ride into this year's awards with a nomination for his serious political drama "The Front Runner," playing Democratic presidential candidate Gary Hart. But he did not. Meryl Streep: Sure, Meryl Streep has a smaller role as Donna in "Mamma Mia! Here We Go Again!" than she did in 2008's "Mamma Mia," which earned a best actress nomination. But this is three-time Oscar winner Meryl Streep, who has won eight Golden Globes. Any time she's overlooked, it's a snub.